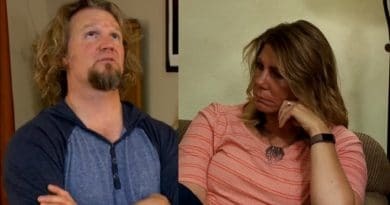 ‘Sister Wives’: Meri Brown a Pothole on Christine’s Road to Kody Brown? 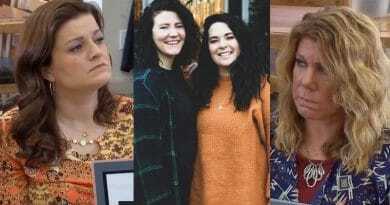 Sister Wives is new Sunday night and it looks like Meri Brown gets a shot of truth from Christine Brown that’s hard to hear. There’s an undercurrent of Kody Brown to Christine’s disenchantment, it seems as well. Vying for Kody Brown’s attention looks like a full-time job for Christine on this SW season. Is this why she finds it so hard to be around Meri Brown? After all, it looks like Kody is on the outs with his first wife. So it seems the first of the Sister Wives doesn’t offer any competition for Kody’s affections – or does she? Considering these two women lived alongide for over two decades, so how can Christine be “uncomfortable” around Meri Brown now? Yet that’s how Christine feels around Meri, as she tells her co-spouse in a new Sister Wives preview clip. While Christine competes for Kody Brown’s attention this season, his focus seems elsewhere. He’s honed in on Meri Brown. Despite Kody sharing his brutally honest opinion about no longer desiring his first spouse, something else is going on. And… it looks as if Christine picked up on this. Jealousy among the Sister Wives family is not just a phenomenon reserved for the wives. It looks like Kody Brown is a bit jealous himself these days. But it’s not another man that’s making him uneasy. On the contrary, it appears to be Meri’s independence that’s got his britches in a bunch. She did something Kody longed to do – put down roots back into Utah. She did that with her Lizzie’s Heritage Inn. 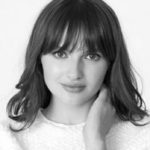 But most of all – this wife did it without her SW husband! Christine Brown has tried her best to be that spark in Kody’s eye this season, but his eye is on Meri. While Kody’s attention to Meri is mostly negative, he’s still giving her attention – – and a lot of it. So this takes away time from the other Sister Wives. Further, it’s Christine Brown who seems to feel the brunt of this. Although she’s been Kody Brown’s wife for decades, it’s like Christine is the one wife still courting Kody Brown. Christine is truly smitten with her man. She also confessed at one point on the SW show that it’s hard to be best friends with a woman who has a relationship with her husband. Christine Lashes Out at Meri? 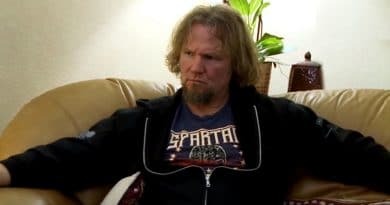 Fans watching the Sister Wives season saw Kody in action. He dedicated lots of camera time to his thoughts on Meri. At a glance, it looks more like sibling rivalry than a spousal relationship. Kody acts a bit jealous over his wife’s new business venture. But has Meri’s independence rekindled a fire for Kody? If so, Christine alone sees it – – as no one else in the SW family seems to notice or care. So far on this new season, Christine Brown said a few things to Meri Brown that has SW fans wondering just where their relationship stands. A few episodes back, fans hopped on social media after some rather disparaging remarks aimed at Meri from Christine Brown. 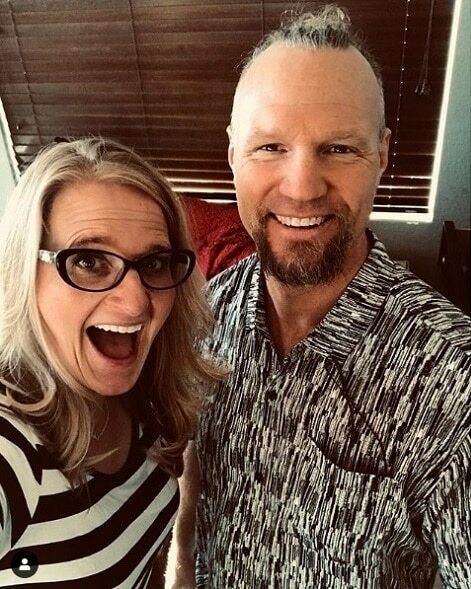 When the family gathered for the birth of Maddie Brown Brush’s baby, Meri Brown was the only SW mom who didn’t attend. It was a hard time for her, as she felt left out. After that event, Christine Brown asked to chat with Meri and the two sat down for what looked like a heart-to-heart. But it was like Christine blindsided her. Christine told Meri that she was okay without her there at the birth of the Sister Wives family’s first grandchild. Christine went on to say that Meri brings baggage with her when she enters a room. The third wife of Kody Brown made Kody’s first wife out to be the bearer of sorrow. Apparently, in Christine’s eyes, this co-spouse drags down those around her. The conversation was very one-sided and it looked as though it made Meri a bit uncomfortable, to say the least. It didn’t seem to serve a purpose other than to throw shade on the first wife during that Sister Wives episode. This Sunday’s episode offers a conversation between the women. While spoilers suggest the two women try to revive their once fun-loving relationship, it doesn’t look like it starts out that way. In the preview clip, Meri says that she knows that she makes her uncomfortable when she’s around. But perhaps this mom of one doesn’t know what’s driving Christine’s bouts of uneasiness? Will the truth come out? Consider Soap Dirt your one stop for all the latest Sister Wives spoilers. ← ‘Days of Our Lives’ Spoilers: Marlena Confronts John About Leo – Paternity Explosion? 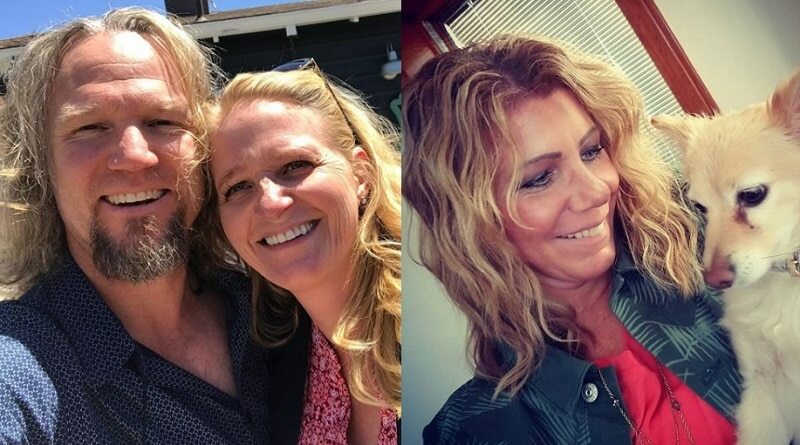 ‘Sister Wives’: Robyn Brown Steals Meri’s Thunder – Blindsides With Mariah Engagement Post?